I decided to burn a book, because I wanted to see and feel what Harry would have seen and felt that day if he had been at the library, if he had started the fire. Burning a book was incredibly hard for me to do. Actually, doing it was a breeze, but preparing to do it was challenging. The problem was that I have never been able to do harm to a book. Even books I don’t want, or books that are so worn out and busted that they can’t be read any longer, cling to me like thistles. I pile them up with the intention of throwing them away, and then, every time, when the time comes, I can’t. I am happy if I can give them away or donate them. But I can’t throw a book in the trash, no matter how hard I try. At the last minute, something glues my hands to my sides, and a sensation close to revulsion rises up in me. Many times, I have stood over a trash can, holding a book with a torn cover and a broken binding, and I have hovered there, dangling the book, and finally, I have let the trash can lid snap shut and I have walked away with the goddamn book—a battered, dog-eared, wounded soldier that has been spared to live another day. The only thing that comes close to this feeling is what I experience when I try to throw out a plant, even if it is the baldest, most aphid-ridden, crooked-stemmed plant in the world. The sensation of dropping a living thing into the trash is what makes me queasy. To have that same feeling about a book might seem strange, but this is why I have come to believe that books have souls—why else would I be so reluctant to throw one away? It doesn’t matter that I know I’m throwing away a bound, printed block of paper that is easily reproduced. It doesn’t feel like that. A book feels like a thing alive in this moment, and also alive on a continuum, from the moment the thoughts about it first percolated in the writer’s mind to the moment it sprang off the printing press—a lifeline that continues as someone sits with it and marvels over it, and it continues on, time after time after time. Once words and thoughts are poured into them, books are no longer just paper and ink and glue: They take on a kind of human vitality. The poet Milton called this quality in books “the potency of life.” I wasn’t sure I had it in me to be a killer. Once words and thoughts are poured into them, books are no longer just paper and ink and glue: They take on a kind of human vitality. It is easy to copy anything these days, and most books exist in endless multiples; a single book no longer has the preciousness it had when books came to life through a cumbersome, labored process. So burning one ordinary book should have been easy for me. But it wasn’t, not at all. I couldn’t even choose a book to burn. First I thought that I could burn a book I didn’t like, but that seemed too aggressive, as if I were delighting in a sort of execution. I knew I couldn’t burn a book I loved. I suppose I could have burned one of my own books, but the psychology was simply too much for me to sort through, and I own so many copies of my books that they have become something of a generic commodity in my home, more like flour or paper towels than actual books. So while I made the decision to burn a book, I put off choosing a book for weeks, trying to figure out what standard I could use to select the one I would burn. Nothing seemed right. Just as I was about to give up on the idea, my husband presented me with a new copy of Fahrenheit 451, a book about the fearsome power of book burning, and I knew this was the one to use. I chose a windless, warm day and climbed to the top of the hill in my backyard. The San Fernando Valley flung itself before me—all the treetops and houses and buildings blurring together into a wash of stippling and speckling; it was a pale quilt stitched here and there with a flash of red taillights, and above it, in the blue sky, a plane clicked by, dragging its tail of white foam. I had been living in Los Angeles for four years. I’d never thought much about fire before coming here, but now I knew it was prowling everywhere, and that I had to crush any scampering ash and drown any wandering flicker. I’d learned a lot since moving to Los Angeles. I knew the Westside from the Eastside; I knew to avoid traffic on Oscar night; I knew the exquisite beckoning of beauty and acclaim that sings out to anyone here who aches for a life like a highlight reel. I could picture Harry Peak now because I saw him every day in the handsome overgroomed busboys who waited on me, and in the gym-trim extras I sometimes came across when there was filming in my neighborhood—I could recognize their anxious posing, as if each moment bristled with the potential to change their entire lives. I saw him in every person slumped over a laptop in a coffee shop, writing the role of a lifetime, and in the pretty girls wearing too much mascara and nail polish at the grocery store, just in case, just in case. I had come to love Los Angeles; I even loved its preening, grabby, ambitious silliness, its Harry-ness, because it pulsed with emotion and wishful- ness and ripe brokenheartedness, animated in the most naked way. First I thought that I could burn a book I didn’t like, but that seemed too aggressive, as if I were delighting in a sort of execution. But now I was at the top of my hill to burn a book, so I turned away from the view of the valley and laid down the copy of Fahrenheit 451. I put down a pitcher of water, a box of matches with a rooster on the cover, and an aluminum cookie sheet on which I placed the book. I didn’t know if the book would catch immediately or if it would smolder for a while; I didn’t know if it would occur in a burst or if I would sit and watch the book go up page by page by page. 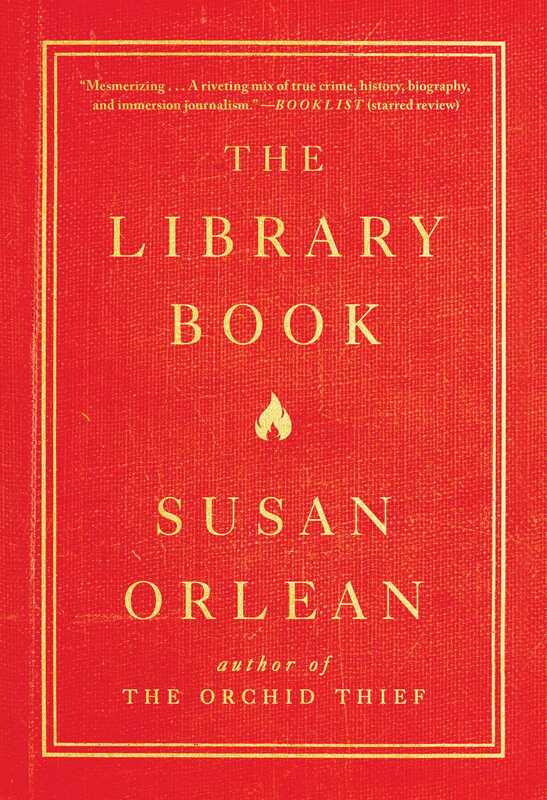 I had chosen to burn a paperback, even though the books in the library had been hardcovers, because I worried that a hardcover would burn for so long that my neighbors would see the smoke and sound an alarm. People in California jump at even the hint of fire, and to be honest, I was a little afraid of what might happen if the fire got out of control. I struck the first match and it broke, so I struck a second, which spat out a little tongue of flame. I touched the burning match to the cover of the book, which was decorated with a picture of a matchbook. The flame moved like a bead of water from the tip of the match to the corner of the cover. Then it oozed. It traveled up the cover almost as if it were rolling it up, like a carpet, but as it rolled, the cover disappeared. Then each page inside the book caught fire. The fire first appeared on a page as a decorative orange edge with black fringe. Then, in an instant, the orange edge and the black fringe spread across the whole page, and then the page was gone—a nearly instantaneous combustion—and the entire book was eaten up in a few seconds. It happened so fast that it was as if the book had exploded; the book was there and then in a blink it was gone and meanwhile the day was still warm, the sky still blue, I hadn’t moved, the cookie sheet was shiny and empty except for some crumbs of black now strewn on it. There was nothing left, not a trace of anything that resembled a book, a story, a page, a word, an idea. I am told that a big fire is loud, clamoring, windy, groaning. This, though, occurred almost silently, with just the slightest wheezy sound of air, a sort of whoosh, as the book ignited. The pages burned so fast they barely crackled; the sound was soft, like a sizzle, or like the crinkly light sound of water spraying out of a shower. As soon as it was over, I felt like I’d just jumped out of an airplane, which is perhaps the natural reaction to doing something I’d resisted so mightily—there was the elation at overriding my own instincts, elation at the fluid beauty of fire, and terrible fright at the seductiveness of it and the realization of how fast a thing full of human stories can be made to disappear. permission of Simon & Schuster, Inc.